Are you divorced or separated from your spouse? It can be stressful facing life after divorce or during separation when it comes to dealing with your ex-spouse. Acting with animosity can exhaust you. What’s more, it can stress out your children. Increased stress can and does lead to physical disease like headaches, heart disease, hypertension, stomachaches and more. So, for health reasons, it’s beneficial to respect your children by finding a way to talk cordially with your former spouse. According an article by Laubacher & Company, a Cleveland-based law firm, there are simple things you can do to get along better with your ex. When both parents work together to respect their children, instead of fighting, all involved win. Making visiting and communication interactions calm reduces stress for everyone — it also helps your children feel more secure. Remember, children learn what they live. So, by both parents being cordial to each other, your children learn that though divorce may happen, they can find realistic ways to cope. This helps them later in life when it comes to resolving conflict situations. Being the adult child of divorce and getting through a divorce of my own back in 1978, I’d like to share some clear co-parenting communication tips. Put yourself in your child’s place. By choosing to be cordial to your ex-, you show respect for yourself and your children. Self-respect helps you cope better with the family dissolution to move forward in your life. Focus on improving quality of life for your child by putting your child’s mental health and well-being first. No matter how you feel about dealing with your former spouse’s behaviors, think about what your child needs. Your child’s life has been turned upside down. Help your child develop coping skills. After divorce, conflict can happen between you and your former spouse. Respectfully speak privately with your ex about the issue. Do not put your children in the middle of the disagreement. Nobody likes to feel used. If you use your children, you may alienate the relationship you have with your children. This can be very bad for your and your children’s mental health. Also, it teaches them to feel like they are unworthy and undeserving of being treated respectfully when their parents aren’t getting things their way. Avoid forcing your children to “pick sides” in an argument with your spouse. The disagreement is between you and your ex. Accept adult responsibility for resolving the issue. Even though it may be unpleasant to face a confrontation, never expect a child to have adult negotiation or communication skills. Avoid talking disrespectfully in front of your children about your ex. Do not blame your ex for your children not getting their way or for you not getting your way about an issue. Instead, remember to review your marital settlement agreement to resolve your co-parenting dispute. Provide self-care as appropriate. 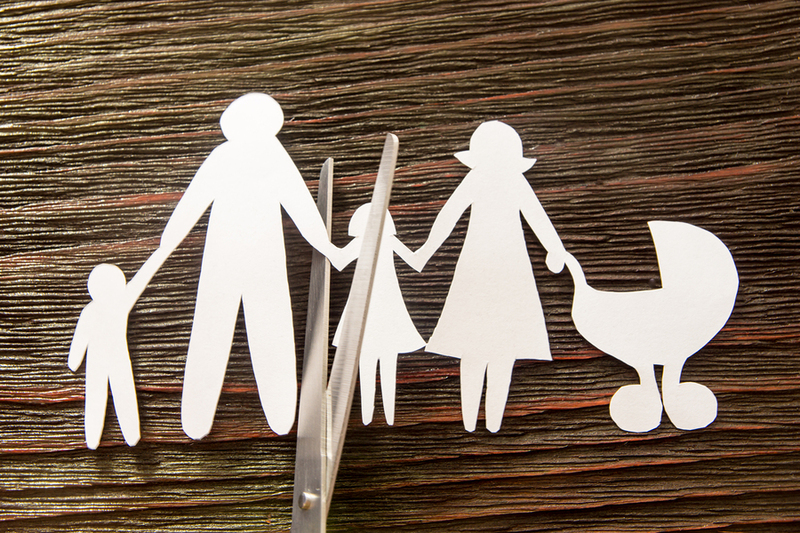 Co-parenting after a divorce can be very emotional for both parents. Suppressing your feelings can be very mentally unhealthy for the entire family. For this reason, you might find it helpful to speak with a therapist or other professional if you feel challenged when co-parenting. When communicating or planning to communicate with your ex, consider writing down your thoughts for more effective communication. Typically, written communications can be less emotional. And, it provides a written record. Also, by first organizing your thoughts, you can prevent unnecessary, time-consuming and emotionally upsetting confrontations. Be patient as you traverse the new family landscape. The entire family is adjusting to life after divorce. It’s a process learning how to be a single parent. Your children are learning to be separated from Mom and Dad. Don’t expect yourself to masterfully co-parent immediately after being in this new life scenario. Do your best to focus on communicating respectfully to your ex — this helps your children see that you and they need to work and cope with the new family dynamic. Recognize that you don’t have to like working with the new family dynamic but you do have to accept it for what it is. You may dislike being divorced or separated, but by accepting it and dealing with it the best you can, you also teach your children valuable coping skills. For family living to be at its best, having a positive attitude about how to move forward through life’s challenges helps all involved in the change. By doing your best to respect your ex, co-parenting can be better all around. Plans are extremely important for successful co-parenting, but flexibility is also important. Life doesn’t always go as planned and we need to be able to adapt and improve when time comes.